In the past few years, mirrorless have unquestionably been the cameras which have evolved the most: nowadays they offer many advantages, such as small size, constantly improving image quality as well as a continuously expanding range of available lenses. 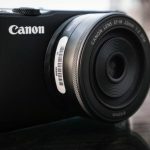 In this guide, we have selected the best currently available mirrorless cameras as well as their respective lenses for beginners and professionals. Why buy a mirrorless camera? A mirrorless camera (hybrid cameras) is basically a mirrorless compact camera with a large sensor (1 inch, 4/3, APS-C or Full Frame) and with interchangeable lenses. In fact, these cameras are a cross between compact and DSLR cameras – and therein lies their appeal. They are more compact than reflex models – since they are mirrorless. They are also generally larger than compact cameras which makes them easier to hold and above all allows them to offer an image quality equivalent to that of DSLR cameras, due to their large sensors. The range of available lenses for mirrorless cameras is constantly expanding, and even though there are currently fewer lenses available for mirrorless than there are for dslr cameras, there are already some very interesting mirrorless lenses, namely luminous, fixed focal length, pancake type lenses – which are both light-weight and discrete. 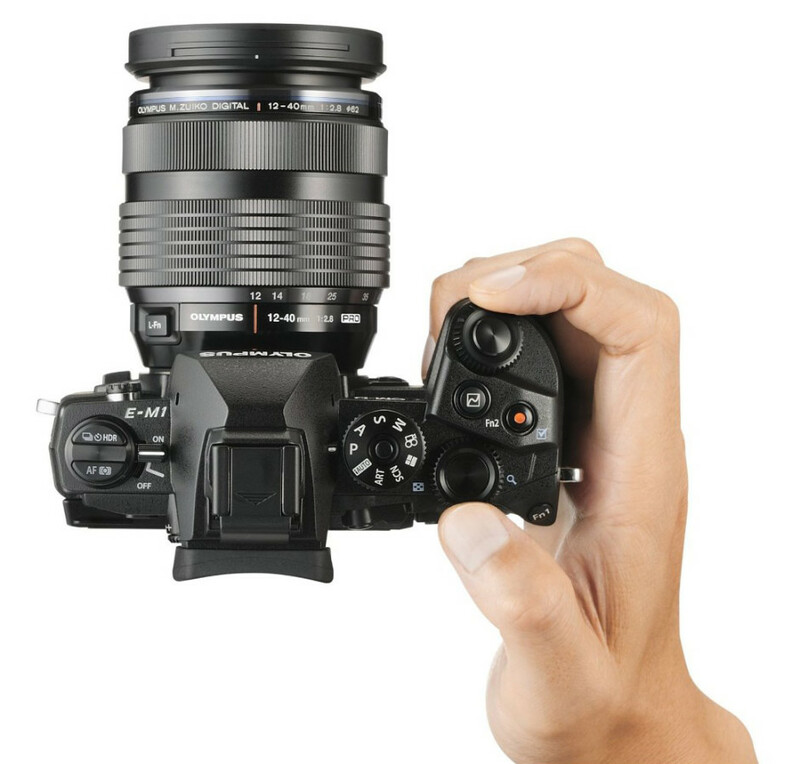 Some brands even share the same lens mounting system, such as Olympus and Panasonic for the micro 4/3 format – which is able to accommodate very compact lenses. Lastly, by using adapters, it is possible to mount almost any lens designed for a reflex camera on a mirrorless model. With their dual AF system, which makes use of phase correlation (fast and useful for moving subjects) as well as contrast detection (precise but often slow), some mirrorless cameras have a very responsive AF system; certain professional mirrorless models even outperform some reflex cameras. The electronic viewfinder (EVF) of mirrorless cameras is also constantly improving in terms of enlargement (perceived size of objects observed through the viewfinder) as well as in terms of how dynamic they are. Even though for many photographers this type of viewfinder can not compare to the optical viewfinder of a reflex camera, the fact that electronic viewfinders make it possible to preview an image exactly as it will be recorded, makes photography easy, especially in low-light conditions where electronic viewfinders are oftentimes much brighter than their optical counterparts. Not even in existence 6 years ago, mirrorless cameras have since undergone a veritable explosion in popularity, especially in the last few years. Is there any model of mirrorless camera that has found the perfect combination of components and features? We will be answering that question in this buyer’s guide dedicated to mirrorless cameras. Sony is a major player in the mirrorless camera market, with a product lineup which has long monopolized the first spots of many rankings. Previously branded Nex, Sony’s mirrorless cameras are now called Alpha, just like the brand’s other lines of cameras. 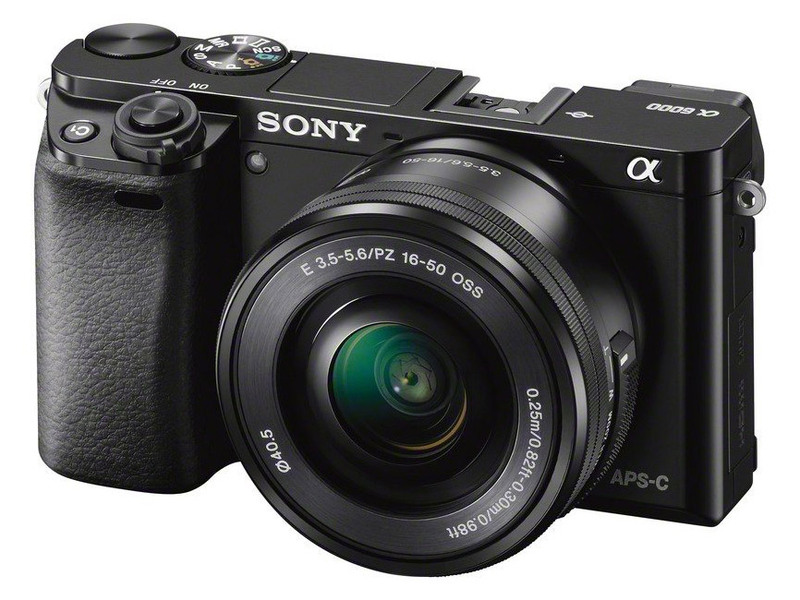 The Sony A5000 replaced the Nex-3N. An entry-level mirrorless which sells for only 498$, the Sony A5000 is an excellent camera, full of compromises, but which sells for a ridiculously low price. Its 20 megapixel CMOS APS-C sensor and its Bionz X processor – which is used on the A7/7R – allows it to capture excellent, highly detailed images, which compensates for a certain lack of overall responsiveness. It’s display pivots over 180°, but it is of rather low definition. The kit lens can be purchased for very little money but more demanding users will be quick to replace the somewhat mediocre 16-50 mm lens. All things considered, the Sony A5000’s unbeatable price is sure to convince many people to buy it, but you should be aware of its advantages and limitations before purchasing one yourself. Why are we not recommending the more modern Alpha 5100? Put simply, because its much higher price versus the few improvements it has introduced makes it not worth buying. You would be better off purchasing the Alpha 6000 which we will be discussing in further detail later on. After having, for a long time, recommended the Lumix GM1 – Panasonic’s tiny camera with good image quality – another Lumix model has now supplanted it as one of the best entry-level mirrorless cameras in our buyer’s guide: the Lumix GF7. The GF7 has adopted the majority of the GM1’s features – even in terms of its physical appearance; it is however, a little bulkier than its predecessor. Geared towards the general public, this 16 megapixel, micro 4/3 model is modern (touchscreen, WiFi…) and very responsive, with, unsurprisingly, good image quality. However, it does not have an electronic viewfinder. In our opinion, its only major weakness is its limited autonomy. This camera even performs fairly well for recording video (up to Full HD definition). In conclusion, the Lumix GF7 is a significant improvement over the GF6. 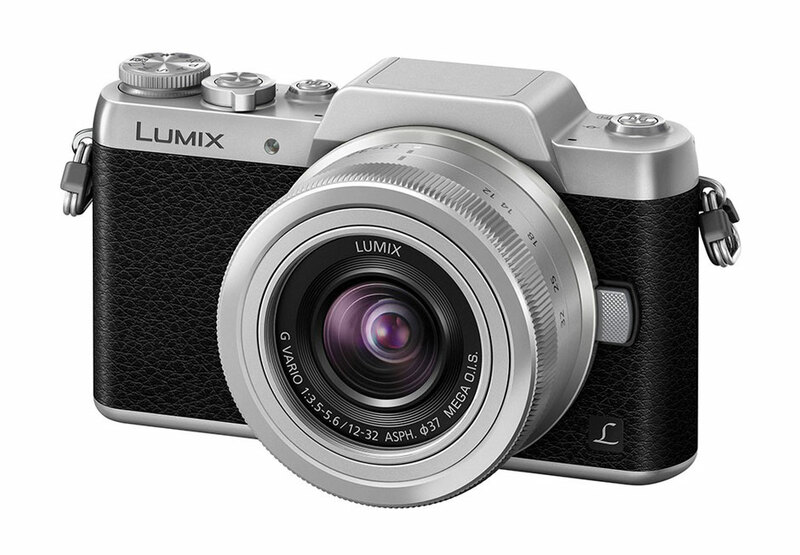 And, by taking over for the GM1, it has now become Panasonic’s best entry-level mirrorless, good for someone looking to become initiated into the world of photography. The GF7 can be purchased starting at 423$ with a 12-23 mm lens. Up until last year, if you were looking for an entry-level Fujifilm mirrorless camera, we would have recommended the excellent X-M1, a compact mirrorless camera which does not look like anything special, but which has a lot of hidden potential. It was released in 2013, but, in our opinion, it still remained pertinent due to its famous 16 megapixel Fujifilm CMOS X-Trans sensor. This sensor is truly remarkable and makes it possible to obtain an image quality worthy of a high sensitivity professional reflex camera: capable of reaching 3200 ISO without any digital noise (the sensitivity can be increased to around 12,800 ISO – the limit of acceptable quality). For a mirrorless camera, this is a truly respectable performance, especially since the image quality under normal conditions is also impressive. Unfortunately, Fujifilm must have realized the error in product placement it had committed relative to the X-A2 and has still not introduced a model of mirrorless camera to replace it. Even worse, it is very difficult to find an X-M1 mirrorless for a reasonable price these days. 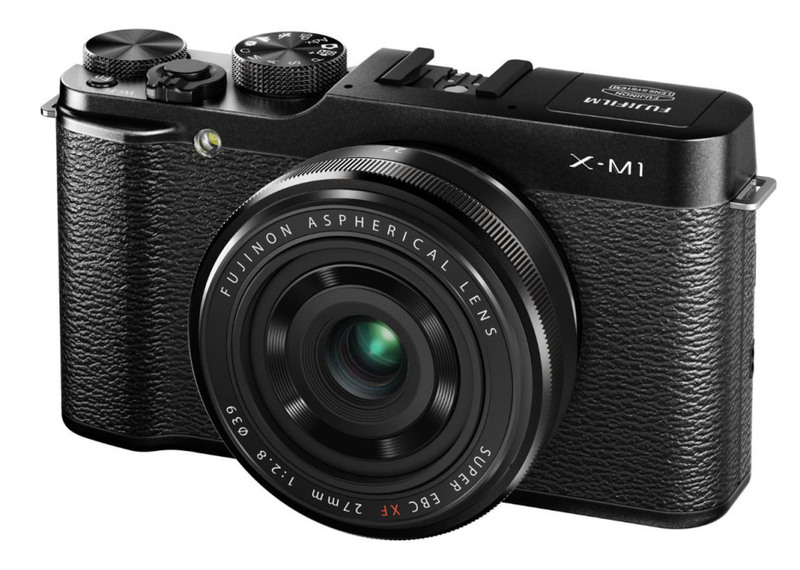 For this reason, except for the X-M1, we are not recommending any of Fujifilm’s other entry-level mirrorless cameras, because the new X-A3 – which is not yet available – has not yet been tested, and its price is very similar to that of the Fuji X-T10, one of the mid-level mirrorless cameras that we are recommending. Another camera worth mentioning is the Nikon 1 J5. With this new mirrorless, Nikon is offering a camera with an interesting technical datasheet: 20 megapixel 1 inch sensor, pivoting touchscreen, powerful autofocus, good image quality up to 3200 ISO, “Best Moment Capture” and “Motion Snapshot” functions, etc. This mirrorless is perfect for starting out in photography, but if you are considering investing in an an ensemble (camera + lenses), Nikon’s “1” mount does not necessary offer the best selection of lenses. 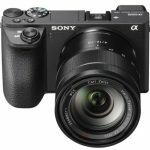 Sony has replaced its valiant Nex 6 and Nex 7 models by a single and unique hybrid, the Sony A6000. Its main novelty is a 24 megapixel APS-C sensor with a hybrid autofocus system which allows it to provide very good image quality, and especially to provide 90% AF coverage of the surface of the image as well as excellent AF tracking of subjects in motion. In this regard, the Sony A6000 is excellent, its general feel, which it inherited from the Nex models, is still very good; it also has a decent (despite only being 1.44 megapixels) OLED electronic viewfinder. Moreover, it now has WiFi connectivity. Unfortunately, while it excels in terms of functionality, it is quite slow to start, especially when the kit lens (16-50 mm f/3.5-5.6) is mounted – since it is retractable, it needs to be fully deployed before the camera will function. Despite being compact, this lens is not able to take full advantage of the 24 megapixel sensor. We feel that with the A6000, Sony is now able to offer a good-quality and very responsive hybrid camera for an appealing price. When buying this camera, you should opt for the kit ensemble – which includes a 16-50 mm lens (from 648$ versus 548$ without the lens) and then mount a more luminous lens, such as a 35 mm f/1.8. After the A6000, Sony also released the A6300 and A6500. If at first glance they appear to be very similar to the A6000, their characteristics and price place them in the category of high-end, professional mirrorless cameras, which we will discuss later on. Following the very good OM-D E-M10, Olympus is now offering a Mark II version of its entry-level mirrorless camera. With the E-M10 Mark II, Olympus is sticking with its winning combination: a very nice looking mirrorless camera body equipped with a 16 megapixel CMOS 4/3 sensor and the Truepic VII processor from the E-M1 which has proved its worth many times over. Compared to the E-M10, this new camera has borrowed some features from its bigger brother, the E-M5 Mark II: 5-axes stabilization (instead of 3-axes) for better image stabilization, especially when using long focal length lenses, as well as a fast-AF for improved responsiveness. It also has a higher definition viewfinder (2,360,000 points) which uses OLED technology for more comfort when framing shots. In terms of ergonomics, the APSM button has been moved to the same side as the settings scroll wheels – a simple ON/OFF button and a switch to open the flash have taken its place. Three function buttons make it possible to customize the quick settings. Unsurprisingly, the camera’s image quality is very good, and in terms of JPG files, Olympus masterfully manages increased ISO sensitivity, at the price of a sometimes brutal smoothing effect. Fortunately, in RAW format, the camera is able to deliver clean looking images up to 6400 ISO, despite a bit of grain which can be dealt with during post-processing. Its rear-facing touchscreen is able to pivot, and the shutter can be released by touching a specific zone on the touchscreen with the tip of your finger. Good news: compared to the previous generation, the price of this camera is very appealing. It can be purchased from 649$ – lens not included, and from 699$ in a kit with a 14-42 mm lens. 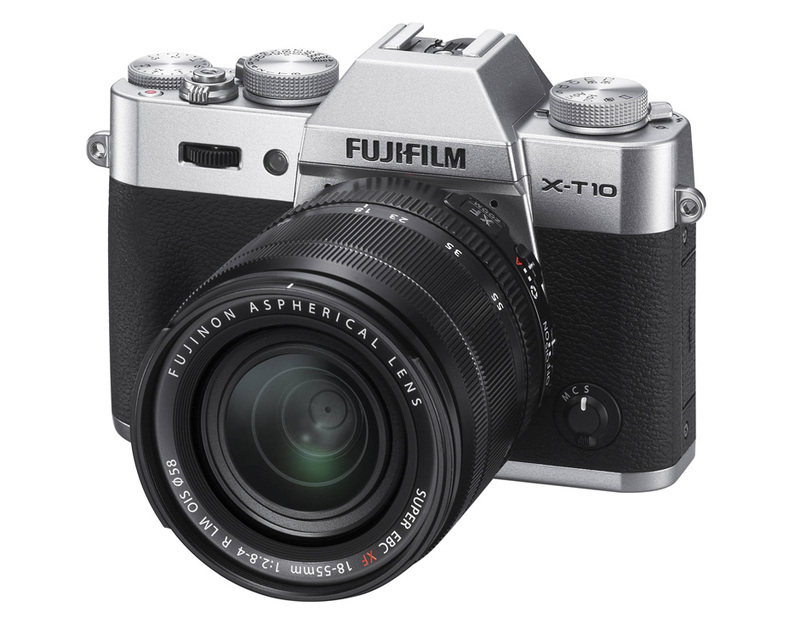 The X-T10 is the little brother of the X-T1 – the professional Fujifilm camera. More compact and light-weigh, it reuses the same 16 megapixel CMOS X-Trans sensor, which, coupled with a powerful processor, provides exemplary image quality – without digital noise up to 3200 ISO. Its 2.36 million points OLED viewfinder (which is also used on the X-T1) is a little bit smaller, but just as precise and comfortable, and the X-T10 is equipped with the focus peaking feature, which is very practical for fine tuning the focus. The 18-55 mm f/2.8-4 zoom behaves well on this device, and we recommend it. The Fuji X-T10 is available in a kit starting at 799 dollars. The Lumix GX85 has everything going for it: it is a compact mirrorless camera geared towards the general public with excellent image quality. It uses a 16 megapixel, micro 4/3 sensor without a low-pass filter which delivers good-quality images up to 3200 ISO. New feature: Panasonic has added dual stabilization to this camera (5-axes stabilization on the sensor and 2-axes on the lens) which is great for capturing photos and videos alike. The GX85 also incorporates interesting features such as Post Focus and Photo 4K – innovations introduced by Panasonic. Moreover, this camera has access to the full gamut of Panasonic and Olympus micro 4/3 lenses, the most complete collection on the mirrorless camera market. In conclusion, this camera is well balanced, very seductive and very affordable. The Lumix GX85 is being sold without a lens from 499$. High-end Mirrorless Cameras, DSLR camera killers? For a long time, the thought of investing over 1000$ in a mirrorless camera was off-putting: while these cameras have always been more compact, they were unable to compete with DSLR cameras in terms of all other essential characteristics (image quality, large viewfinder, autofocus, ISO sensitivity…). However, these days, things are different and some mirrorless models are now able to play in the same league as DSLR cameras – sometimes even outperforming them. Here is our selection of those high-end mirrorless cameras that might make you think twice before investing in a semi-professional digital reflex camera. By releasing its A7/A7R/A7S models, Sony was betting big: integrating a full frame sensor into a very thin-profiled camera with a very short flange focal distance (distance from the mounting flange to the sensor). The result is a compact, nicely built (the case is made out of a magnesium alloy) family of mirrorless cameras – weighing in at between 400 and 480g depending on the model – which have turned the established order of DSLR camera supremacy on its head. Last year, Sony revamped its three Alpha 7 models, releasing the Sony A7 II/A7R II and A7SII. The Sony A7II is the most affordable 24×36 format mirrorless on the market. Equipped with a 24 megapixel sensor and a hybrid AF, it is responsive (without being lightning fast), and above all, it offers unbelievably good image quality for such a small device. Its sensor – which is similar to the one used by the Nikon D600/D610 – works beautifully, provided that you mount a good-quality lens on it, one which is able to take full advantage of the camera’s sensor. And Sony is working hard to broaden its selection of lenses – a good example of which is its excellent 24-70 mm f/4 lens. We recommend this lens as well as Sony’s fixed focal length FE lenses. This camera is also capable of handling increased ISO sensitivity quite well, and at 6400 ISO the digital noise is smooth and diffuse – photos taken at this sensitivity only require slight adjustment in Lightroom to become fully exploitable. Relative to the first generation, this camera has a more pronounced grip, 5-axes stabilization and improved reactivity thanks to a new processor. Despite these improvements, generally speaking, the camera’s autofocus sometimes has difficulty in locking onto a subject – especially in difficult lighting conditions. For the price that this camera is being sold, in our opinion, its greatest weakness is its electronic viewfinder, which is, however, of sufficiently good quality to be able to use the camera without too many complaints. Lastly, its autonomy is very limited (around 340 shots) and we found it somewhat petty on Sony’s part not to include a charger with this camera. The Sony A7II can be purchased starting at 1548 dollars – lens not included. The second of these revamped Alphas, the Sony A7R II, is basically a Sony A7II with a greater number of megapixels. Equipped with a 42 megapixel CMOS BSI sensor, this is one impressive camera. It has the same characteristics as its predecessor as well as a hybrid AF, 5-axes stabilization, 4K definition video recording – and let’s not forget that its sensor has gone from having 36 megapixel resolution to 42 megapixel resolution. This camera is also equipped with a low-pass filter. The A7RII’s is geared towards a very limited target audience due to its immense sensor. In terms of price, the Sony A7R II can be purchased starting at 2698$(without a lens), which is quite expensive given that the first generation model is selling for around 1898$. Just like for the A7II, we recommend that you select a lens of sufficient quality to be able to fully exploit this camera’s sensor. Lastly, the most sensitive of the Sony A7s is the A7SII, the king of night-shots. This hybrid is highly video-oriented and offers the possibility of recording in 4K definition (Ultra HD, 3840 x 2160 resolution at 30 fps). Compared to the A7S, it can record in 4K definition without making use of an expensive external recorder; it also benefits from all of the improvements that the Mark II line has introduced: better ergonomics and 5-axes sensor stabilization. Contrary to the other A7 models it (only) has a 12 megapixel full frame sensor which allows it to reach very high ISO sensitivity values without loss of image quality. Video enthusiasts and nighttime photographers will appreciate this camera’s ability to increase the ISO value to 12800 without difficulties – allowing them to see in the dark. 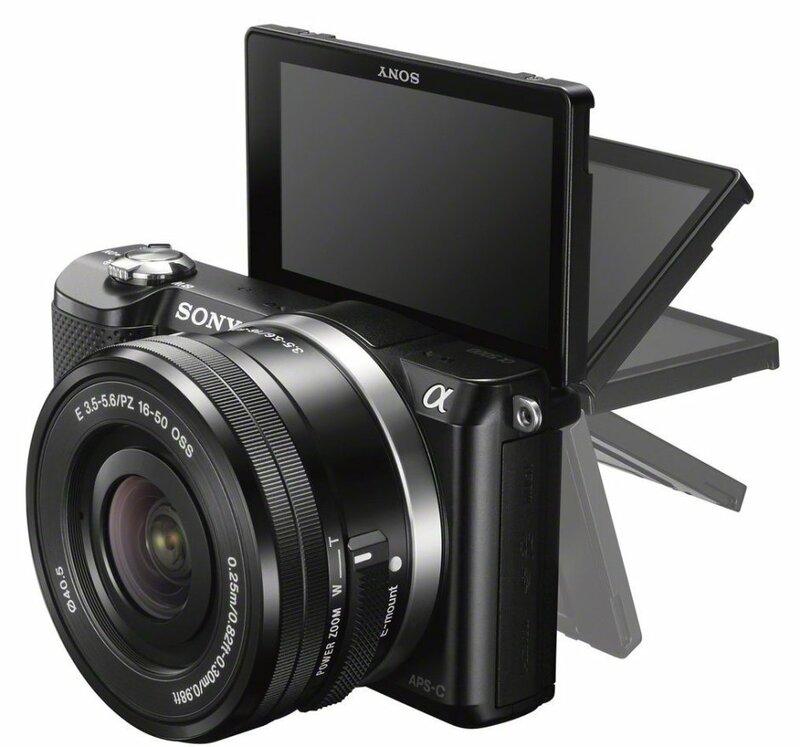 The Sony A7S can be purchased starting at 1998 dollars – lens not included. For capturing video, an interesting, and less expensive alternative is the Lumix GH4 which is available from 997 dollars. We can only hope that Sony will adjust the pricing of its products, but we should not forget that this camera has a full frame sensor with very large photosites, similar to what Nikon is offering with its D5, and that this ability comes at a price. It is also worth mentioning that with the release of these new models, the price of the Sony A7 products has come down significantly, a good opportunity for those photographers looking to equip themselves with a full frame mirrorless camera at a lower price. 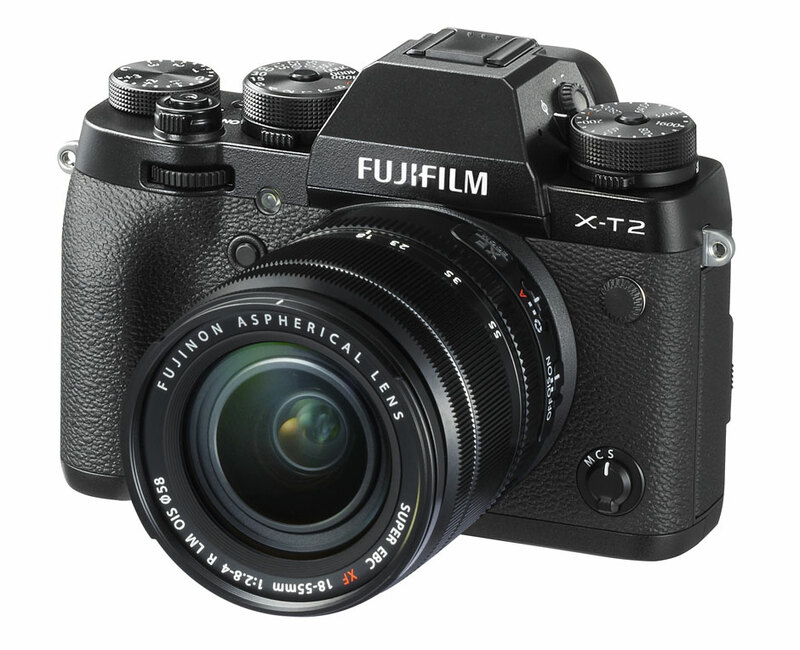 After the success of the X-T1, a compact weatherproof mirrorless camera which is also very comfortable to hold, this year Fujifilm released the Fuji X-T2. It has kept all of the X-T1’s best features and has made some improvements of its own. New 24.3 megapixel X-Trans III APS-C sensor, improved autofocus, 4K definition video and dual SD UHS-II memory card slots are among these innovations. Its ergonomics have been improved – the X-T2 has a more sculpted handle and it has also lost some weight (507 g without a lens). The camera is still weatherproof. If you enjoy manual controls, you will appreciate being able to directly control this camera’s ISO sensitivity, shutter speed and exposure correction via the notched dials on the top of the case. Also note that aperture opening is adjustable by turning the diaphragm ring of XF R lenses. Its most impressive improvement is its increased speed compared to the X-T1: the autofocus is very responsive and the 14 images/second burst mode is lightning fast when using the grip which boosts the camera’s abilities. The quality the images it is able to capture is still excellent and the X-T2 is capable of increasing its ISO sensitivity to 6400 ISO or even 12800 ISO, if you are not too picky about having the finer details of your photos smoothed. The X-T2 is an excellent camera for photojournalist or sports and action photographers; it should also seduce other users by its small reflex camera appearance. Our only real regret concerning this camera is its lack of sensor stabilization and its limited autonomy. When using this camera you should remember to bring several batteries with you (the batteries for this camera are also compatible with the X-T1). In summary, the Fuji X-T2 is an excellent, versatile, and well balanced camera which is able to rival and even surpass a number of dslr cameras. It can be purchased starting at 1592$ – without a lens – and in a kit with an 18-55 mm lens from 1899 dollars. If this goes beyond your allocated budget, you should be aware that the Fuji X-T1 has never been as affordable as it is at the moment – due to the release of the X-T2. Similarly, the X-Pro2, which has a more journalistic look, offers almost all of the same characteristics, minus the 4K video recording ability and with a slightly less capable autofocus. It can be purchased starting at 1699 dollars. Update: Olympus recently announced the OM-D E-M1 Mark II. With a more capable AF, faster burst mode and better image quality, it will be available beginning in December 2016. It may interest some people for whom its price of 1979$ – without a lens –or 2598 dollars with a 12-40mm f/2.8 lens kit is not a problem. 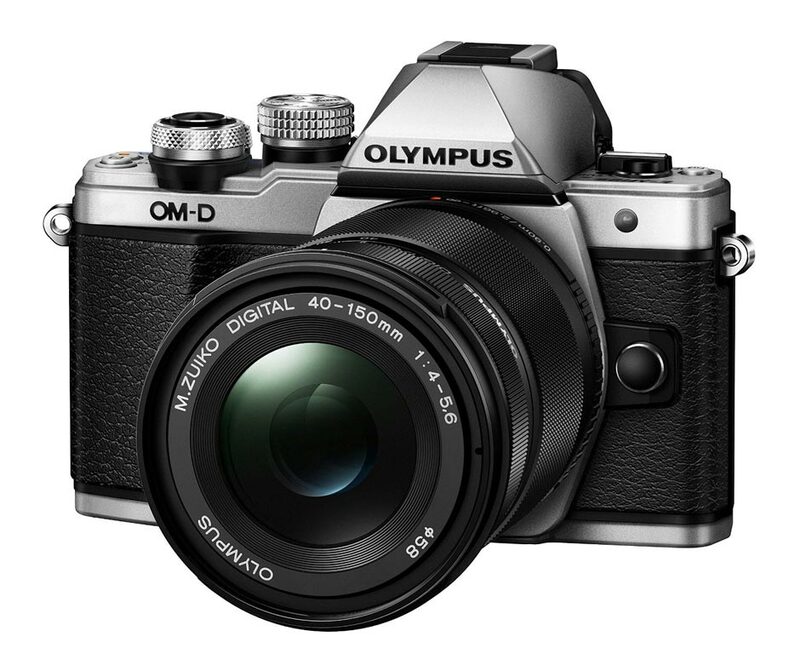 Olympus’s OM-D E-M1 resembles the film cameras from its old OM product line. Weatherproof and well-built, this camera exudes a sense of solidity and has a pronounced grip which makes it more comfortable to hold. Numerous buttons allow for the customization of settings; moreover this camera has no shortage of options, which range from the management of wireless flashes, an intervalometer, a “Live Bulb” function (to be able to witness an image being progressively created during a long exposure) and even a lens AF calibration feature that looks like something that you would expect to see on a professional reflex camera. This camera is renowned for its effective 5-axes sensor stabilization which Sony seems to have taken as an inspiration for its upcoming A7 II. Coupled with a 1.48x magnification, 2 360 000 pixel viewfinder, this stabilization does however eat away at the camera’s autonomy (350 photos on average), and it could be a good idea to buy the accompanying grip accessory which makes the camera both easier to hold and doubles its autonomy (for an additional cost of 200€). This Olympus camera also has a pivoting touchscreen. In terms of performance, the hybrid AF allows the camera to be responsive – easily capable of capturing 10 images/second in burst mode. The E-M1’s sensor, just like the one on the Olympus EM-10, is a 16 megapixel 4/3 format sensor without a low-pass filter (in order to capture more detail). The E-M1’s ability to increase its ISO sensitivity is relatively good up to 6400 ISO, but it does have a tendency to smooth images in order to reduce digital noise at high ISO values. In summary, the Olympus OM-D E-M1 is a beautiful object which is capable of producing beautiful images. It can be purchased starting at 600 dollars (Used)– lens not included – or in a kit with the professional 12-40 mm f/2.8 lens starting at 1185 dollars (Refurbished). 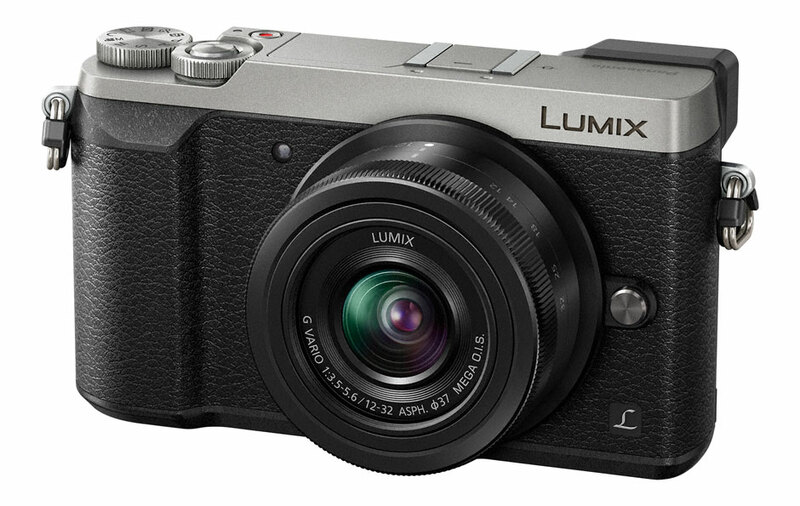 Following the GX7, Panasonic released the GX8, a high-end device eager to use its considerable assets to make its mark on the mirrorless camera market. The camera’s case has gained some weight compared to its predecessor’s (thicker, and 20% heavier); it has also lost its built-in flash. It did however keep its tilting viewfinder – a much appreciated feature by street scene photographers – and is now weatherproof, allowing it to get even close to the action. The GX8 also has a pivoting touchscreen. Under the hood, this camera uses a new 20.3 megapixel 4/3 format CMOS sensor coupled with 6-axes stabilization (4 for the sensor and 2 for stabilized lenses), as well as an AF system borrowed from the GH4. 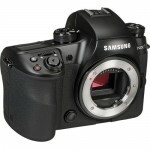 The resulting camera is very responsive and produces very good-quality images, even at 3200 ISO. Not to mention that this camera is capable of recording video in 4K definition with very good color rendition and that it offers the possibility of using semi-manual modes while filming. In conclusion, the Lumix GX8 is a compact mirrorless, ideal for taking with you on a stroll or for photo/video-journalism since it will be resistant to any water or dust that you may encounter during your excursions. It can be purchased without a lens from 1197 dollars and in a kit with a 12-60 mm lens starting at 1695$. What are the lenses for mirrorless cameras? Our buyer’s guide to indispensable lenses focuses on reflex cameras, a mature and complete (and sometimes complex) segment of the camera market as far as lenses are concerned. Since mirrorless cameras are geared towards a more general public, many mirrorless camera users prefer to only have one lens. Users should remember however that the choice of lens is crucial and depends on its intended usage – this is especially true for users looking to ensure that they are able to fully exploit their camera’s sensor. It is for this reason that we have added a section on lenses for mirrorless cameras to this guide. On the most compact mirrorless cameras, pancake type lenses, which are both compact and luminous, are especially interesting since they will transform a mirrorless camera into a well balanced and discrete device. For higher-end models, with more demanding sensors, it is preferable to choose lenses which are capable of fully exploiting the sensor’s capabilities. Oftentimes, kit lenses are versatile and sold for affordable prices, but limit the camera’s potential. You should also not forget that a fixed focal length lens can be a good choice. Despite the fact that hybrid mount versions of these lenses are more expensive, they make it possible to capture very good -quality images, namely due to their wider aperture opening. There is however still some work to be done in miniaturizing this type of lens (relative to the size of the camera), but engineers are coming up against physical limitations which make this task very difficult. In terms of Sony products, hybrid cameras use the E type mount (for APS-C sensors only) as well as the FE type mount (both APS-C and full frame compatible) – on the Sony Alpha 7 models. In the E type mount – which is for the Sony A5000 and A6000 product lines – there are a few interesting lenses that we would like to recommend. 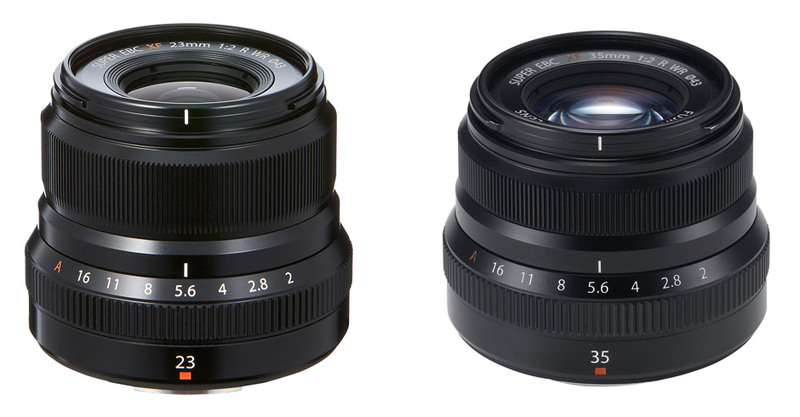 From left to right, the Sony E: 16 mm f/2.8, 50 mm f/1.8 and 16-70 mm f/4. In terms of fixed focal length lenses, the pancake 16 mm and 20 mm f/2.8, ultra compact lenses are ideal for street-level photography since they do not take up much room and provide a rather wide angle. If you are interested in a luminous lens, the 35 mm and 50 mm f/1.8 lenses (refer to our article on which fixed focal length lens to select: 35 mm or 50 mm?) are your best bets. Lastly, the 16-70 mm f/4 OSS trans-standard zoom is a reference lens, but it does cost 998 dollars. If you are interested in using a single lens with a wide range of focal lengths, the Sony 18-200 mm f/3.5-5.6 travel zoom is stabilized and can be purchased starting at 890 dollars. The 35 mm, with a maximum aperture opening of f/2.8, is a real jewel for urban photography. Highly compact, it will make your hybrid camera easily transportable – able to be carried around in a small case. The image quality it provides is a serious step up from what the kit lens can provide – although it can not compare to what the 55 mm is capable of offering. The 55 mm has a maximum aperture opening of f/1.8. At first glance it may seem overly large and expensive. However, it is a truly incredible lens! In conjunction with the A7, it is capable of producing very high-precision images with unparalleled sharpness. We really enjoyed the softness of the images it was able to capture, especially in portraiture. This is the ideal tool for fans of the bokeh effect. In terms of zooms for the Sony A7 product line, there are two lenses which offer excellent sharpness and very good performance characteristics: the FE 16-35mm f/4 and the FE 24-70mm f/4 OSS. If you are looking for a powerful zoom, you should check out the Sony FE 70-200mm f/4 G OSS. These three lenses are expensive, but are capable of fully exploiting the quality of the A7 line of cameras. Since 2016, Sony has also offered f/1.4 fixed focal length lenses – its G Master product line. These are truly exceptional lenses which sell for exceptionally high prices: for example, more than 1798$ for an 85 mm f/1.4. 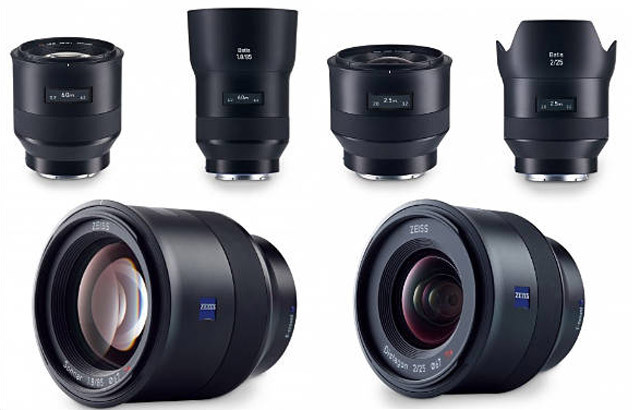 Zeiss also offers three “luxury” fixed focal length lenses in its Batis product line: 18 mm f/2.8, 25 mm f/2 and 85 mm f/1.8. These waterproof lenses are of a robust metal construction in addition to providing excellent resolution. They also have an integrated OLED display which indicates precise focal distance and depth of field information. We have yet to test these lenses and due to their high price, their purchase can only really be justified by professional portrait or architecture photographers who are in search of the best quality lenses. Are you looking for a single lens which covers a wide range of focal lengths? The Sony FE 24-240 mm f/3.5-6.3 SEL OSS is the ideal lens for travelers. Well-built and equipped with optical stabilization, this 780 gram lens can hold it’s own in all types of situations. Its cost, under 1000$, is average for this type of lens. Of course, you can always mount other lenses by making use of an LA-EA adapter ring. Fuji only has one line of lenses – the X line – since all of its cameras use the APS-C format sensor. It does offer the choice between high-end XF lenses (a letter R indicates that the lens also has a diaphragm ring for adjusting the aperture opening) and entry-level XC lenses, which are more compact and geared towards amateur photographers – mainly those using a camera such as the X-M1. Thankfully, the XF 18-55 mm f/2.8-4 R LM OIS kit lens happens to be a very good silent, powerful and stabilized trans-standard zoom. On its own it can be purchased starting at 699 dollars. The 10-24 mm f/4 R OIS is an impressive wide angle zoom; it is both light-weight and powerful – despite some distortion at the 10 mm focal length. In terms of versatile zooms, the weatherproof 18-135 mm f/3.5-5.6 R LM OIS WR is an interesting alternative. Lastly, we would like to recommend three good-quality fixed focal length lenses: the XF 23 mm f/1.4 R (which many users consider to be Fuji’s staple lens), the 35 mm f/1.4 XF R and the wonderful 56 mm f/1.2 XF R portraiture lens. Apart from their maximum aperture of f/2, Fujifilm’s new f/2 WR fixed focal length lenses are excellent in all other respects: they are silent, weatherproof, and compact. Among these lenses can be found the 23 mm f/2 R WR and the 35 mm f/2 R WR. Olympus and Panasonic share the same micro-4/3 lens mount. This means that lenses from either manufacturer are compatible with either manufacturers’ cameras. One important thing to keep in mind is that micro-4/3 lenses have a 2x multiplication coefficient with respect to 24×36 sensor cameras, meaning that a 25 mm micro-4/3 lens is the equivalent of a 50 mm for a full frame sensor camera. Both of these manufacturers offer a compact and luminous pancake type lens. Olympus’s version is a 17 mm f/2.8 pancake lens available from 299 dollars. 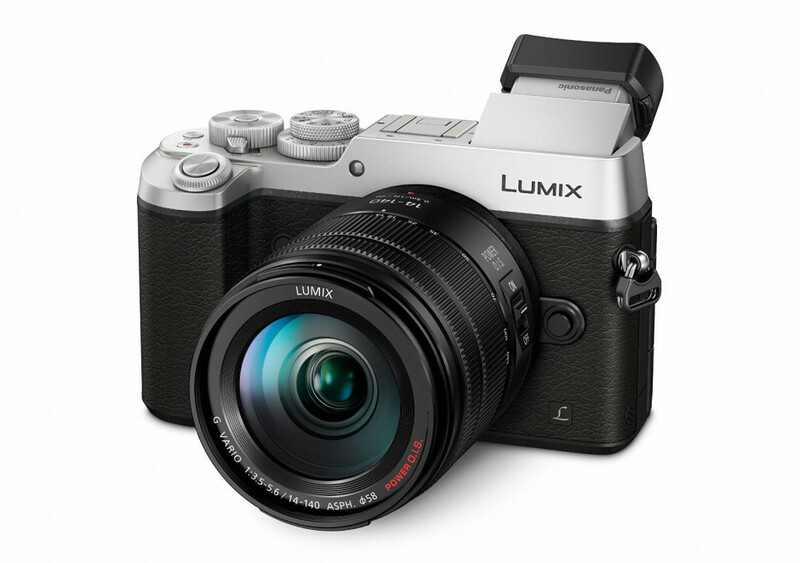 Panasonic offers the Lumix 14 mm II f/2.5 ASPH which can be purchased starting at 250 dollars. Olympus offers 2 very luminous, professional quality zooms: the 40-150 mm f/2.8 ED Pro which is the full frame equivalent of an 80-300 mm lens, and which provides very good image quality. The other available zoom is the 12-40 mm f/2.8 ED Pro which is of an all-metal construction and of good optical quality in addition to being capable of quick and silent focusing. These two lenses are however quite expensive, and if you are looking for an entry-level zoom instead, the ED 14-150 mm f/4-5.6, while less luminous, is also much less expensive (starting at 499 dollars). Panasonic offers a wide range of micro-4/3 lenses, among which are some very good-quality fixed focal length lenses – conceived by Leica – such as the very impressive Nocticron 42.5 mm f/1.2. If you are looking for a 50 mm equivalent lens, we recommend the Leica DG Summilux 25 mm f/1.4 which can be purchased starting at 597 dollars. If you do not need such a luminous lens, the Lumix G 25 mm f/1.7 ASPH might be the right fixed focal length lens for you! The full frame equivalent of a 50 mm lens, it is luminous, light-weight (weighs only 50 g) and above all, inexpensive – since it can be purchased starting at 199 €. It’s pretty straightforward: this is the most inexpensive 25 mm lens for the micro-4/3 format mount. In terms of trans-standard zooms, the Lumix X 12-35 mm f/2.8 Power OIS (optical stabilization) is the full frame equivalent of a luminous 24-70 mm lens. The 14-140 mm f/3.5-5.6 ASPH Power OIS is a good choice for adventurous photographers since it is able to handle almost any type of situation. Previous Nikon D750 vs D810 vs D610 vs D4s vs DF, What’s the difference?